The Connecticut River is a vast body of water stretching 407 miles. The river offers up some great fishing and often times an underestimated fishery. The winter months offer anglers early ice on the setbacks in late December with chances to catch panfish, walleyes, pike, white perch and bass. The northern region also holds some very respectable trout. Fishing the river can sometimes be a challenge. 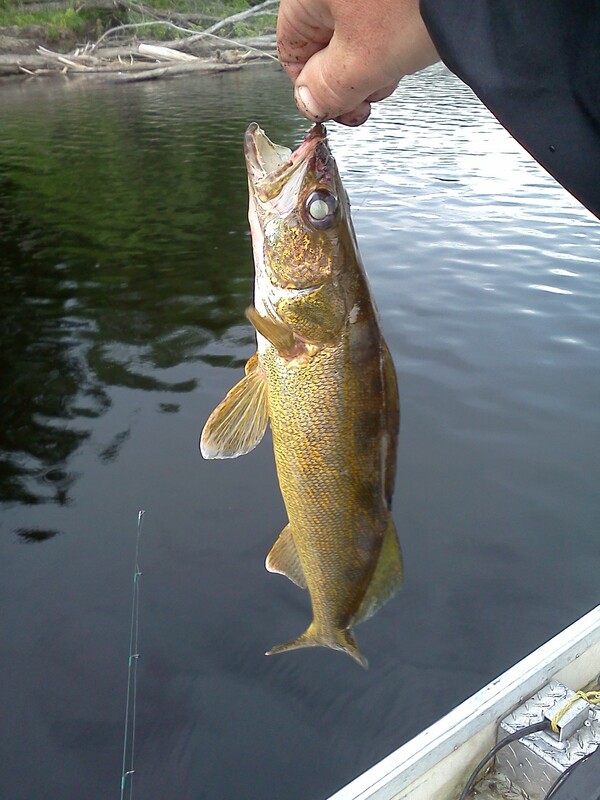 Summer time walleye fishing is one of my favorite times to fish. 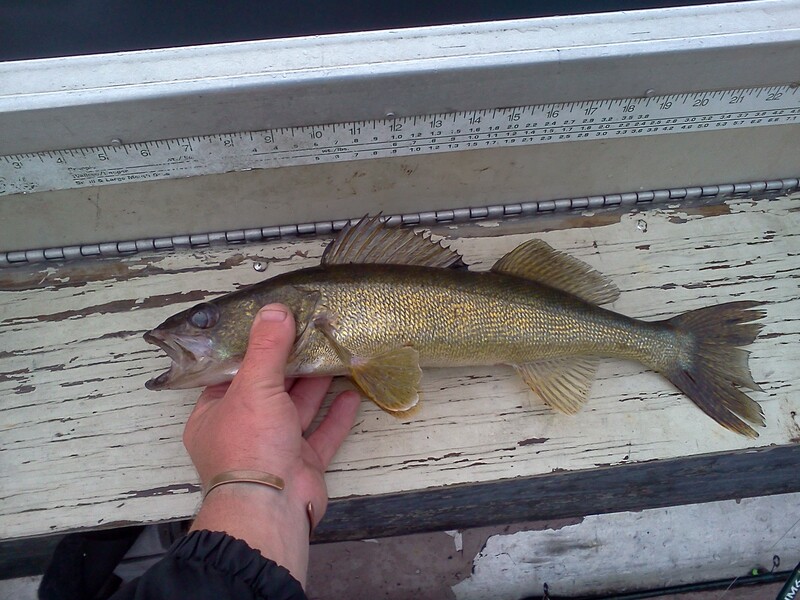 The method I use for catching great numbers of walleye is fishing them in the “wood”. 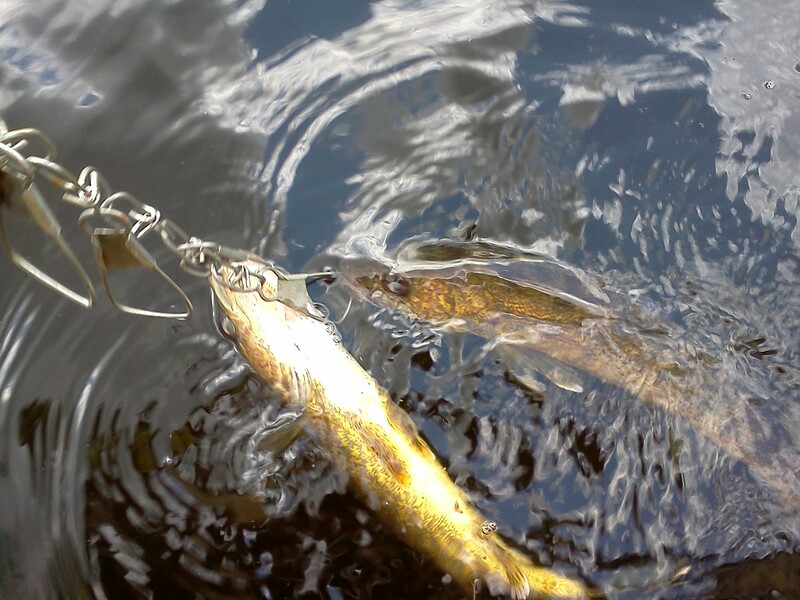 Most of my vertical jigging has been for crappies when they move out onto deep structure in the summer months. I use this same pattern to find and catch walleye in Vermont on the Connecticut river. I look for big bends in the river that will cause debris and logs to jam up during high water times. Hurricane Irene last spring left us with a lot of this. Old logs and timber will float down stream and literally pile up on these bends. The best jams to fish are in 12 feet of water or more. Once I find a jam, I use my electronics to mark which part of the jam the fish are holding. Once I’ve done that, it’s just a matter of positioning the boat so you can fish them consistently. A good bait to rig up on a 1/4 oz jig is the Berkley Gulp Alive Leech. 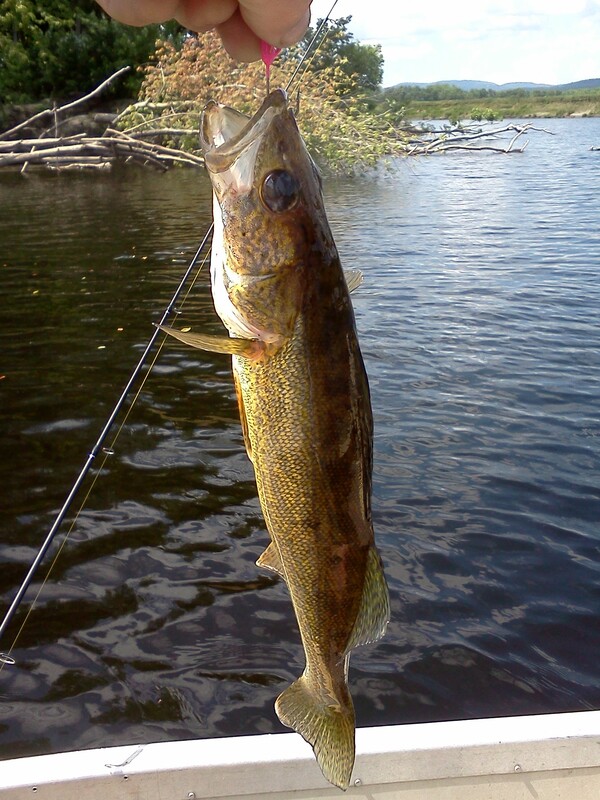 The trick is getting the bait down through the timber and back up with a walleye without loosing too many jigs. The action is often times too fast. 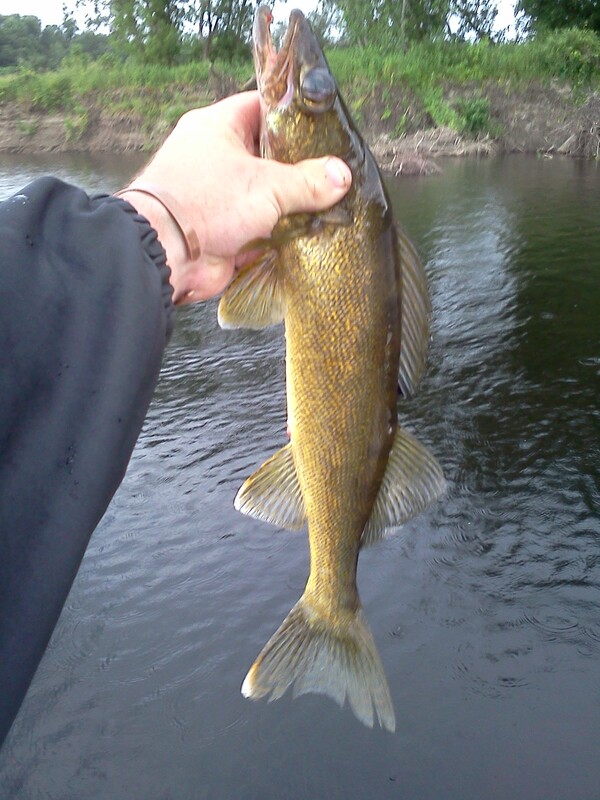 Yesterday I had a hard time closing the bail on the reel before a walleye had picked up my bait. 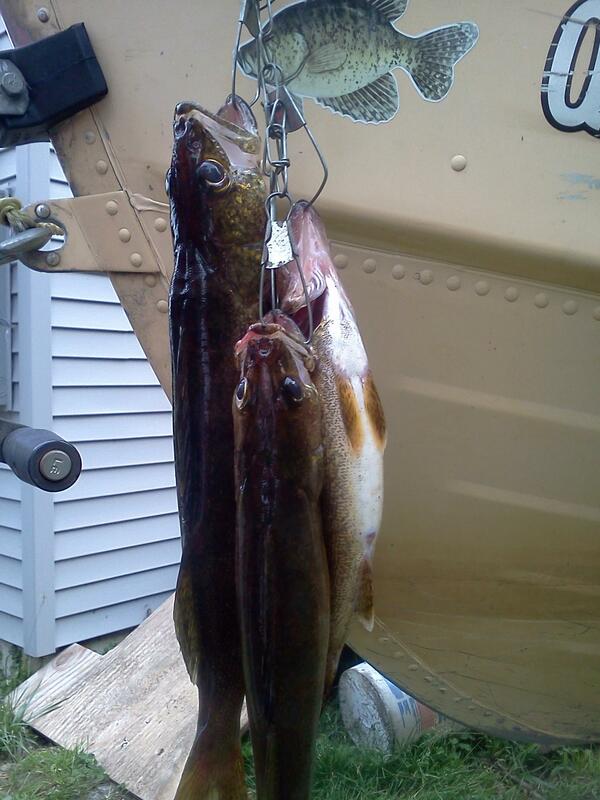 I missed more fish than I boated and I boated 28 walleye is just over 4 hours of fishing. The technique is nothing special, all I’m doing is bouncing the bait on the bottom, pausing, and bouncing again. The down stream section of the jam always seems to hold more fish. 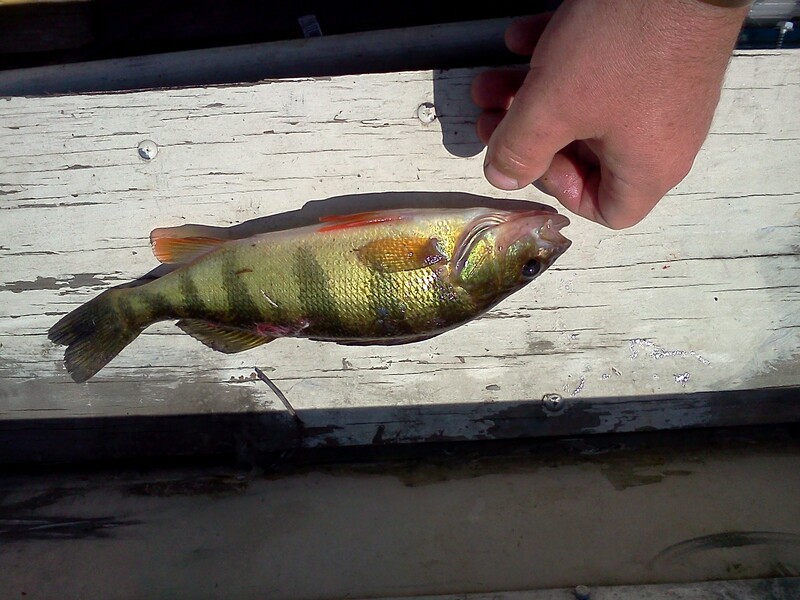 This is different from most ways of catching walleye. It can be frustrating at times but with a little patience and effort you can have a great day on the water. 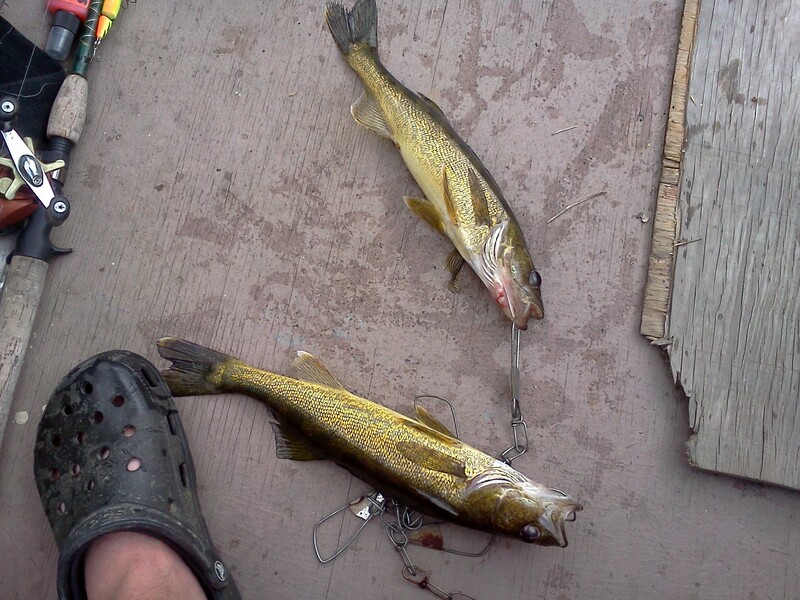 Here’s some pictures from Saturday June 23 2012 catching walleyes in the wood. Note: If you look closely in the first picture you can see what I mean by log jams. Thanks for sharing some great tips.